Disney On Ice presents Passport to Adventure is coming to the Metro Radio Arena in October, and Blue Reef Aquarium has joined forces with Disney On Ice to celebrate in style! For one weekend only, on Saturday 19 and Sunday 20 August, 2017, Blue Reef is offering free entry to younger visitors dressed as their favourite Disney characters, and inviting them to take the Disney On Ice trail through the aquarium to enter a lucky draw to win one of five sets of family tickets to the opening night of Disney On Ice presents Passport to Adventure at the Metro Radio Arena on Tuesday 3rd October. This offers a massive saving of up to £8.25 per child. The lucky winners will join Mickey and friends on a timeless journey, exploring the worlds of Disney’s The Lion King, The Little Mermaid, Peter Pan and Frozen. Plus, warm up at the Fit to Dance pre-show featuring Zootropolis! Upbeat music, lovable characters and unforgettable moments making an experience to cherish forever! 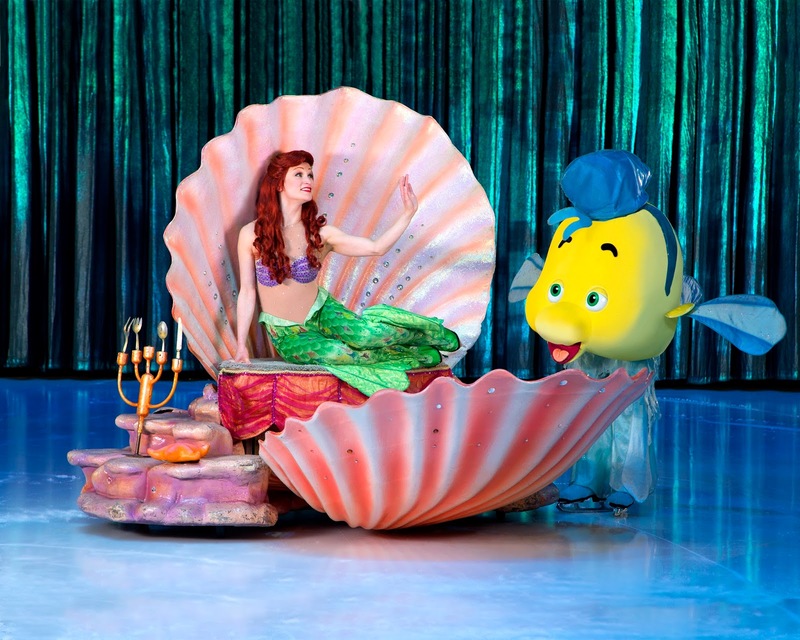 The Disney On Ice themed weekend will include free arts & crafts, story reading and bookmarks, and one mammoth prize of a pass to win free family entry for a year to Blue Reef, and VIP entry to the opening night of Disney On Ice, with pre-show hospitality, a meet and greet with two members of the cast, and goody bags for the kids! To enter, visitors will be invited to take a selfie alongside The Little Mermaid’s Ariel, upload it to Facebook and tag Blue Reef Aquarium and Disney On Ice. If you have not visited Blue Reef Aquarium before, check out Life In Geordieland's review here. It's lots of fun for kids and perfect when teamed up with a trip to Cullercoats beach.